The beginning band class is offered to 5th grade students and is taught by Mr. Wentzel. Each class meets twice a week for 40 minutes. Students can choose the flute, clarinet, saxophone,trumpet, and trombone. To help select the right instrument, click here. The band class will start soon. Students should have their instrument on the week of October 4th and should start practicing each night at home. For a copy of the band contract, click here. Once the band starts, students are expected to bring their instrument and music book to class each music day. To get the most out of this class, it is important that all students come to music with all the materials and get right to work setting up. These lists explain what is expected of the student in each class. Lets have fun and spend every possible moment playing and learning music! Students are required to bring their instrument and music book to class each music day. For a weekly music schedule, click here. Selecting the proper instrument to play will be very important to the success of your child in band. The following information may help in that process. The Flute is a very popular instrument. It is small and very easy to carry. On a difficulty scale of 1-10 (10 being the hardest) the flute is a 9. This instrument is perfect for hard working students who like challenges. Flutes typically rent for $15-25 per month. For more information about the flute, click here. The Clarinet is also a very popular instrument with students. More Students play this instrument than any other (almost 50% of the band). On a difficulty scale of 1-10, the clarinet is a 5. Clarinets do need a continual supply of reeds (approx. $1 each). Clarinets rent for $15-$25 per month. For more information about the clarinet, click here. The Alto Saxophone is always a hit with the students. It is moderately easy to play (5) but very expensive to rent. ($35-75 per month) This instrument also demands a supply of reeds. For more information about the saxophone, click here. The Tenor Saxophone is always a nice addition to the band but this, larger cousin of the alto, is very expensive. Larger instruments also are more of a challenge to carry to and from school. The Trumpet is also a popular instrument for students though it is slightly more difficult to play. (7 on the difficulty scale) Success on this instrument depends upon the student's ability to develop their lip and mouth muscles. Practicing is essential for tone, pitch, and endurance. Rental instruments are $15-25 per month. 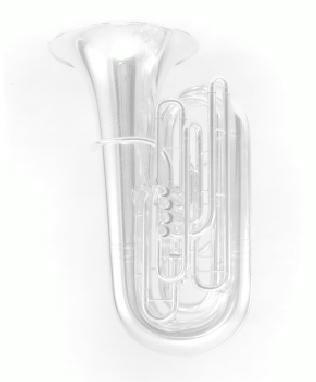 For more information about the trumpet, click here. Renting is, by far, the most popular form of acquiring musical instruments. Approximately 90% of band students will rent. Rental instruments are usually in excellent condition, thus making the experience of class instruction and home practicing more enjoyable. You can find a list of local music stores in your phone book. For some more information, click here. If a student decides to continue music in the sixth grade, their rental instrument may be purchased. It is not recommended to rent an instrument for more than one year. Students continuing can return their instrument at the end of the school year. Some parents feel that it is cheaper to buy an instrument than to rent or lease. They would rather make an investment with the idea in mind that the instrument can always be sold if the students do not continue in sixth grade.